Make your New Year’s resolution to finally fix up your driveway. A smart drive adds value to your home and provides an attractive, practical surface too. Some householders have been putting off upgrading their drives by understandable concerns about the upheaval and likely quality of the finished result. With resin bonded or bound surfaces, there is less disruption to the household as there is no need to dig up an old drive. Professional contractors, experienced in the careful preparation of the existing surface and the correct application of the resin bonded aggregates, will deliver excellent results. Your driveway will be ready to use in a few hours and give up to 20 years of service. There is a huge choice of colours and textural effects available for this hard-wearing surface so your drive will be both distinctive and smart. 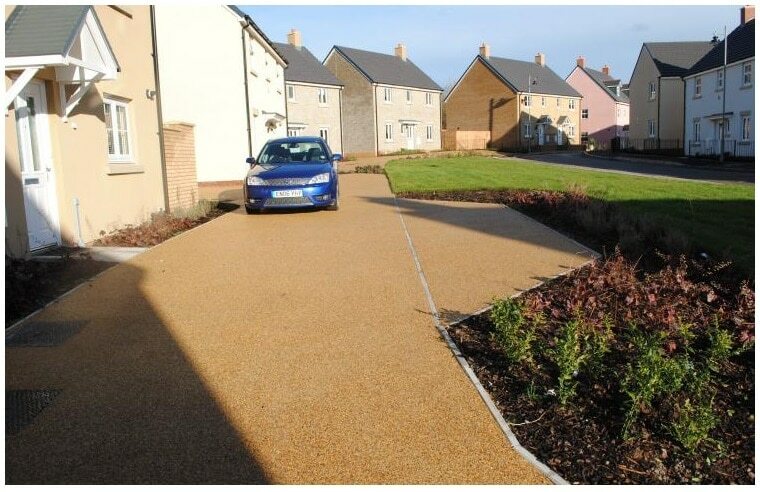 This entry was posted in Property and tagged anti-slip, driveway, driveways, property, resin bonded, resin bonded surfacing, resin bound, resin bound surfacing, surfacing. Bookmark the permalink.